Time and tide wait for no one is especially true in the ageing process of the human body. It is inevitable, where the skin starts to change and lose its elasticity, creases on the forehead and laugh lines form which quickly become pronounced and freckles appear. The neck also starts sagging as the skin loses fat deposits and facial jowls become more noticeable. As life unfolds with each passing year, a combination of visual factors like the ageing, sun exposure and stress begin to show up on the face. Until now, the options to reverse the signs of ageing were not too promising, people had to undergo a knife to get the treatments. However, as the technology advanced, it ushered in a new range of treatments to get genuinely younger-looking skin all without feeling the pain. Various procedures such as skin rejuvenation, body rejuvenation, facelift, reduction of age spots and scars and laser hair removal all have proved to offer the desired results. These non-invasive beauty treatments can be performed on all areas of the body to provide quick results without any serious complications. Non-invasive beauty treatments have revolutionised the aesthetic industry for good and many salons in Australia now offer these treatments. Here are some of the non-invasive beauty treatments offered by salons in Melbourne. It is a skin treatment done utilising light-based technology to boost collagen, reduce brown spots and diminish broken capillaries. It is a quick way to clear blemishes, freckles or wrinkles. There are two types of photo facials one is Intense Pulsed Light (IPL) and the Light-Emitting Diode (LED). I order to get the desired results, it is essential to understand the differences between the two. When you are looking to get treatments for significant acne breakouts, or you want to get rid of unsightly wrinkles, the best option is to book photo facial done on IPL machine at the medical spa or salon. 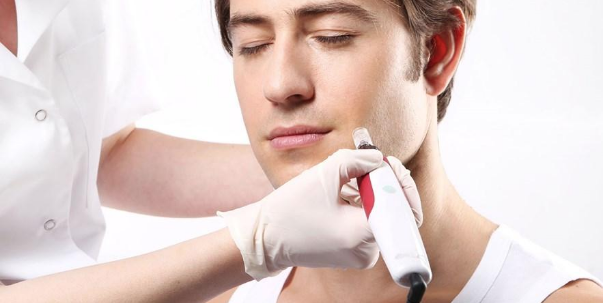 IPL photo facial works by delivering a bright blast of non-coherent light at very high energy levels through a handheld device. The heat from the light can be uncomfortable and but does not cause any complication. It feels like a warm rubber band snapping at the skin. This treatment method is beneficial if you have many different goals like you want to plump-up the skin, have a younger looking face, fade brown spots and diminish broken capillaries. IPL photo facial works best in conjunction with regular skin care routine that you can develop with the aesthetician. This treatment requires several visits to the salon to get the desired results. The number of treatment session varies depending on the condition you are treating and how the skin responds to the treatment. If you have sensitive skin or want to treat a minor blemish, wrinkle or mark, then LED photo facial is for you. LED photo facial is painless, refreshing and relaxing without any risk of burning. It works by using a narrow spectrum of light to boost collagen creating plumper, younger looking skin and kill acne-causing bacteria. This treatment offered by various salons in Melbourne with a serious focus on aesthetics and is usually provided as either part of facial or stand-alone treatment. You will need to book a series of treatment to achieve the best results. Usually, 6 LED Photofacials are required and return for a touch-up every two months. LED photo facial is a gentle, natural and less expensive way to rejuvenate and tighten the ageing skin. Cool sculpting is another non-invasive beauty treatment which helps in eliminating stubborn fat that resists all efforts through diet and exercise using controlled cooling to make you look great from every angle. The results offered are noticeable and long-lasting. It is an FDA and TGA approved beauty procedure which works well for both men and women. A fat freezing machine with an applicator is used to treat the areas of unwanted fat. The applicator is customisable according to size, shape and pinchability of the fat. The device uses suction to pull in the fold of the skin and transmits low temperature enough to freeze the fat cells but do not harm the other tissues and muscles. The body’s natural process eliminates the dead cells leaving a more sculptured look. Cool sculpting can reduce fat in the abdominal area, inner thighs, chin, flank known as love handles or muffin top, outer legs and upper arms. A point to be noted here is that the results obtained by cool sculpting are noticeable but subtle meaning that the procedure is used for body contouring rather than a significant fat loss. This is a very popular non-invasive beauty procedure as removing unwanted body hair has always been an issue with women and some men too. The pain of waxing, the awkwardness of trying to shave and the annoyance to tweeze every few days are temporary methods as well as do not offer the desired results. 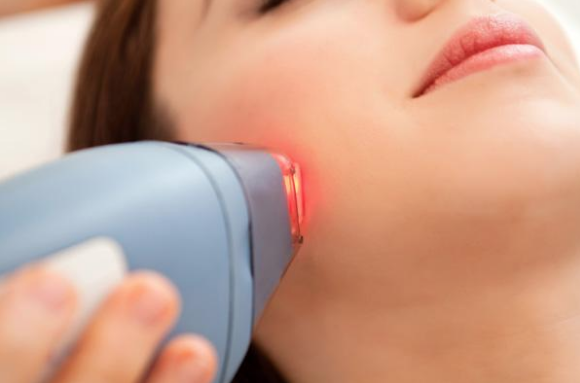 Laser IPL hair removals are deemed the most effective in doing so without any pain or side effects and better still it saves you a lot of effort and money in the long run. IPL hair removal is a TGA and FDA approved treatment process to eliminate unwanted body hair without damaging or causing pigmentation in the top layer of the skin as most of the IPL hair removal machine(s) have a cooling device to make the treatment comfortable. The procedure works by emitting a concentrated beam of non-coherent light which is targeted on the skin with the help of a handheld device. The light emitted is absorbed by the melanin in the hair which travels down the shaft into the follicles getting converted into heat to destroy the hair in a few treatment sessions. IPL hair removal initially worked on people with light skin and dark hair, but with the advancement in technology, it is now suitable for all skin and hair types. The procedure is a safe way to eliminate unwanted hair, however, a patient feels like a rubber band snapping the skin. The number of sessions required depends on the skin and hair type which could be around 5-10 done 2-3 weeks apart. Strict regulations govern IPL hair removal, so it is advised that when you are looking to get this treatment, always look for a reputed laser clinic with well trained, qualified and certified aesthetician. In addition to this, you also need to look for an approved machine preferably sourced from AestheticDevices.Com.Au or a reputable manufacturer. High Intensity Focused Ultrasound abbreviated as HIFU generates low level of heat in the targeted skin to lift fine to deep wrinkles, reduce under eye troughs, bags and dark circles, neck lifting and lifts, tightens the cheeks without surgery, improves jawline, tightens the arm skin and improves skin elasticity and shaping of the face contour. The area beneath the skin surface is targeted with focused ultrasound energy using the temperature right enough to support collagen regeneration. The energy is applied through an applicator aimed at different depths affecting three layers, muscles, skin and superficial wrinkles. 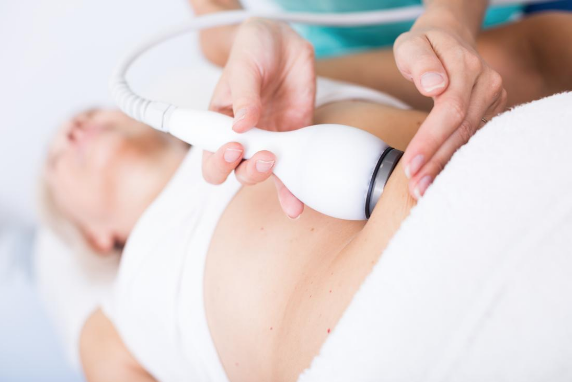 It is the only procedure to use ultrasound imaging allowing the aesthetician to see the layers of tissue ensuring energy is deposited precisely where it will be most effective. Ultrasound gel is applied to the cleansed skin and then the handpiece is used to deposit the ultrasound energy beneath the skin creating thermal coagulation with no damage to the surface skin. HIFU facelift process stimulates collagen synthesis and regeneration and thus providing long-term lifting and tightening effect. A full-face treatment takes an hour to complete without any downtime with results being instant. However, ultimate lifting and toning will take place over 2-3 months as tired collagen is replaced with new one. Those mentioned above are some of the non-invasive go to beauty treatment available at salons and spas in Melbourne to enhance your look.